I read in a couple of places that researchers at Sheffield University have made spray-on perovskite cells at efficiencies of 11%. I was interested in this because it is lightweight and could fit more unusual shapes. I was also looking into regular perovskite cells which are at a max of 19% and are usually bendy, but I thought this may still be constrained to certain shapes. I might be able to cut it, but I feel like I'd probably sever wires and therefore the current flow. The shape I'd need to fit is more or less an isosceles triangle. I could also make the design sort of pixelated (for lack of a better word), just like how these panels are staggered near the edge (see the picture below) but I don't think that would use the surface area as efficiently. I suspect the problem here is expense: PV is cheap because the modules are commodity items made by the million. Fancy bespoke things will remain very expensive. Perovskites look interesting, but are still at the lab stage,as far as I know, though I see DyeSol say that are doing perovskite precursor manufacture for PV. Oxford Photovoltaics look like they'll be one of the first to commercialise perovskites, and they and others have made impressive progress on efficiency, but that will be a year or two away. And although higher efficiency is nice and gets trade headlines, what really matters is cost per watt and lifetime; and currently both of those are unknown for perovskites. Not the answer you're looking for? 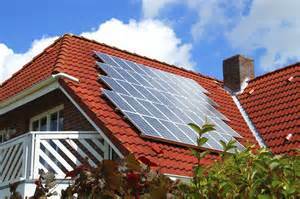 Browse other questions tagged solar-power electricity energy-efficiency diy or ask your own question.